Fair Oaks Rotarian Dave Claugus at the top of Mt Whitney as he celebrates the completion of his 200+ mile trek along the John Muir trail to raise funds for Polio Plus. 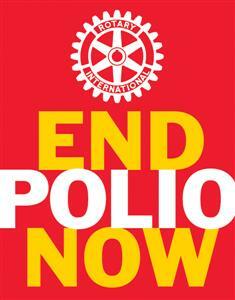 He just helped make us "this much closer" to polio eradication. Congratulations, Dave!